I could identify very well with your succinct story about Robert George’s journey from liberal to conservative, a journey that surprisingly started at Swarthmore and continued later. 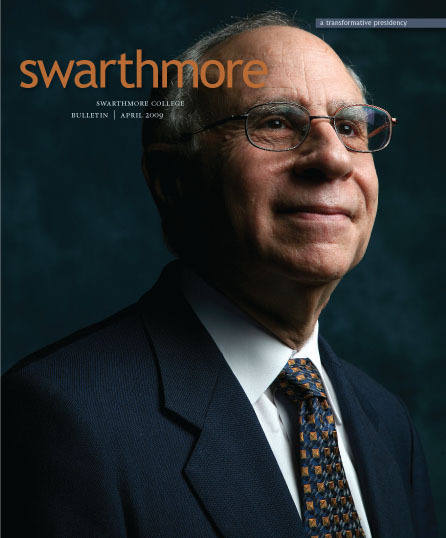 I also arrived at Swarthmore full of liberal sentiments imparted to me by high-school teachers, pastors, and friends. Through study and a deeper discovery of Christianity, I converted to Catholicism in graduate school and later entered a Cistercian monastery after earning a doctorate. Today, I am happy to be a monk, teaching church history to seminarians. The story about George inspired me, first because of his intellectual prowess, but even more because he is able to communicate the conservative intellectual tradition to today’s college students in a compelling way. Thanks for a welcome change in story topics.